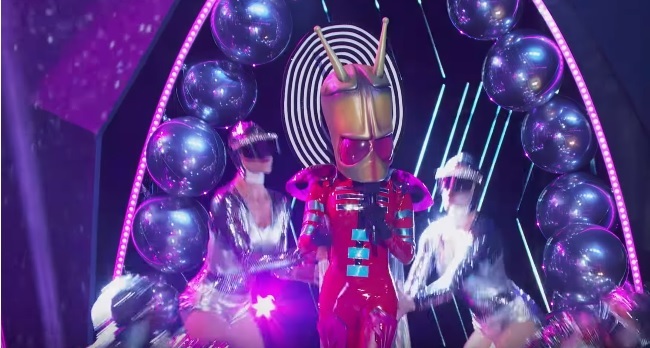 The Alien was one of the six remaining mystery celebrity singers who performed in “The Masked Singer” Season 1 episode 7 titled “All Together Now,” which aired on Fox on February 13, 2019. She competed against the Lion, the Monster, the Bee, the Rabbit and the Peacock. Before performing, the Alien referenced the fashion world, falling off a runway and law suits. “Est. 1956” was also given as number clues. The Alien was the third one to perform among the six contestants. She sang “Ex’s and Oh’s” by Elle King. RCA Records released “Ex’s and Oh’s” on September 23, 2014 as the debut single of King’s debut studio album titled “Love Stuff.” She and Dave Bassett co-wrote the song, which was nominated for Best Rock Performance and Best Rock Song at the 58th Grammy Awards. “I have been on the New York Times’ bestseller list twice,” the Alien also revealed. Scherzinger thought the masked singer could be Nicole Richie. But when Scherzinger recalled the previous snake clues, she said the Alien could be La Toya Jackson. The sister of the late Michael Jackson owns a pet snake. McCarthy said the Alien could be Paula Abdul. But Smoove said the masked singer’s legs were not muscular enough compared to those of the former “American Idol” judge.